Lifting points represent the connection between load and lifting gear. Chain slings, wire rope slings, lifting slings, etc. are used if loads have to be lifted or moved. 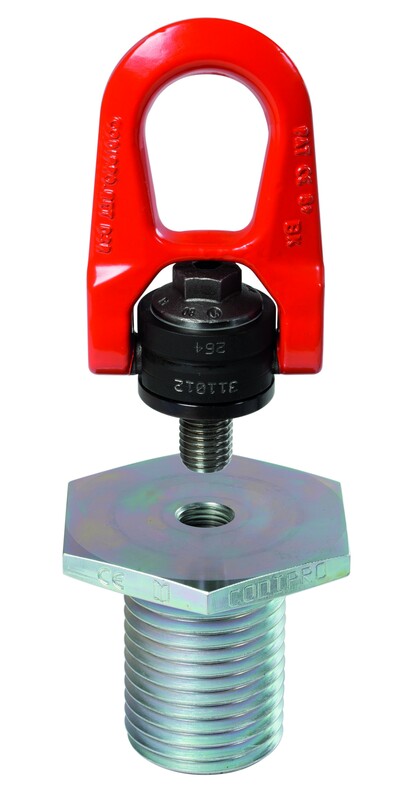 They are used with multiple legs, since the lifting points have to align themselves to the direction of pull before the lifting procedure. Are more flexible than rigid lifting points. 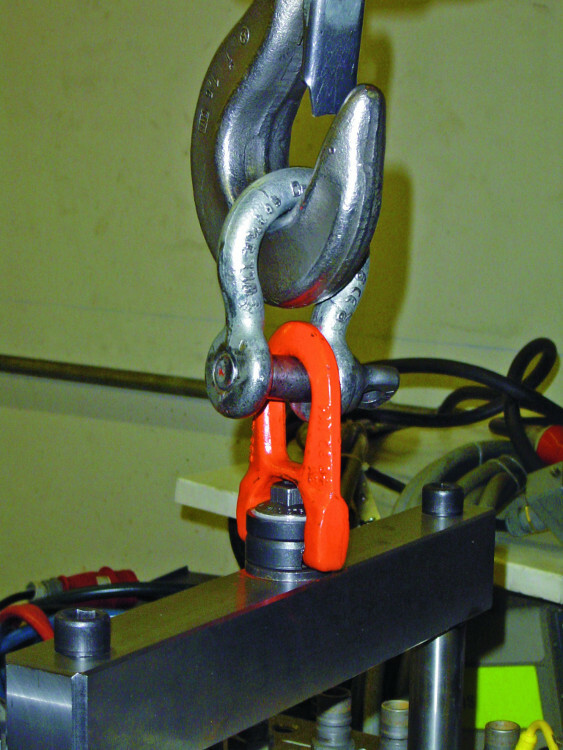 Up to four lifting points can be used. 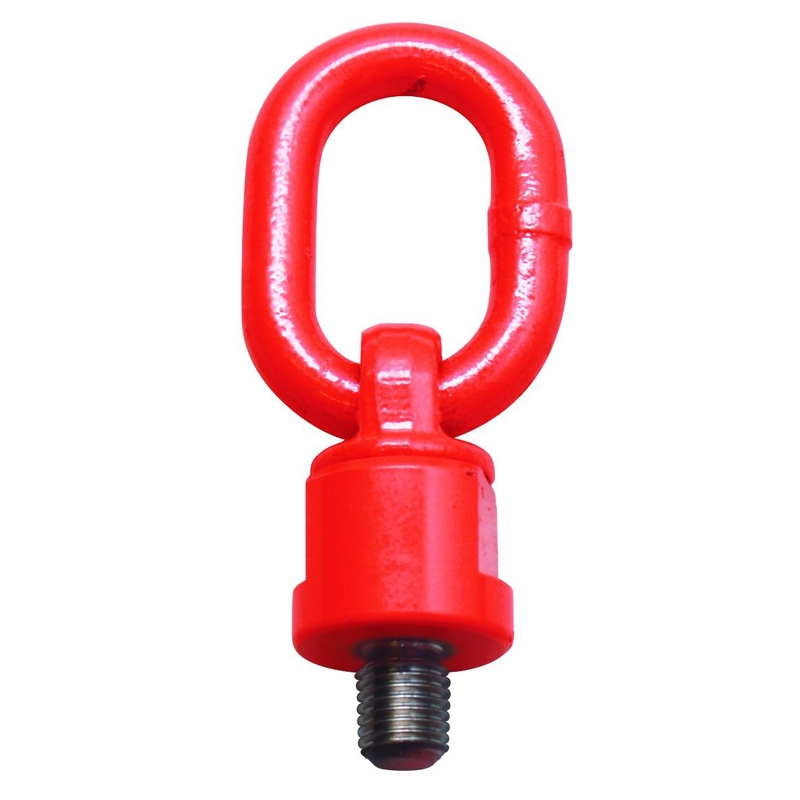 Depending on the characteristic of the load, the lifting points are distributed over it. 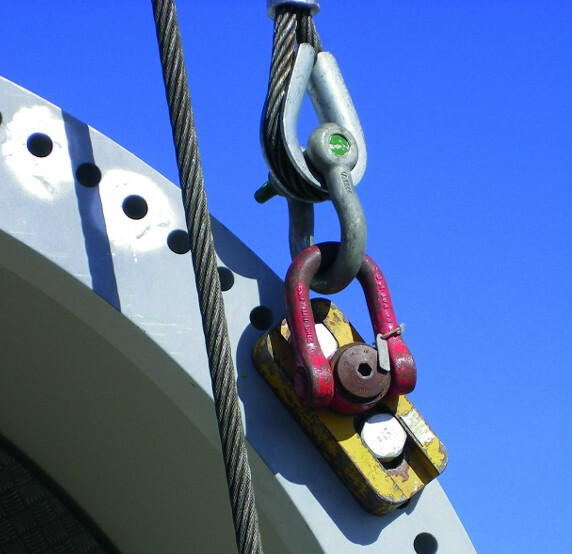 When attaching, care is taken that the load hangs straight when lifting and, for example, does not tip over. Special slings are used where this is difficult or impossible. 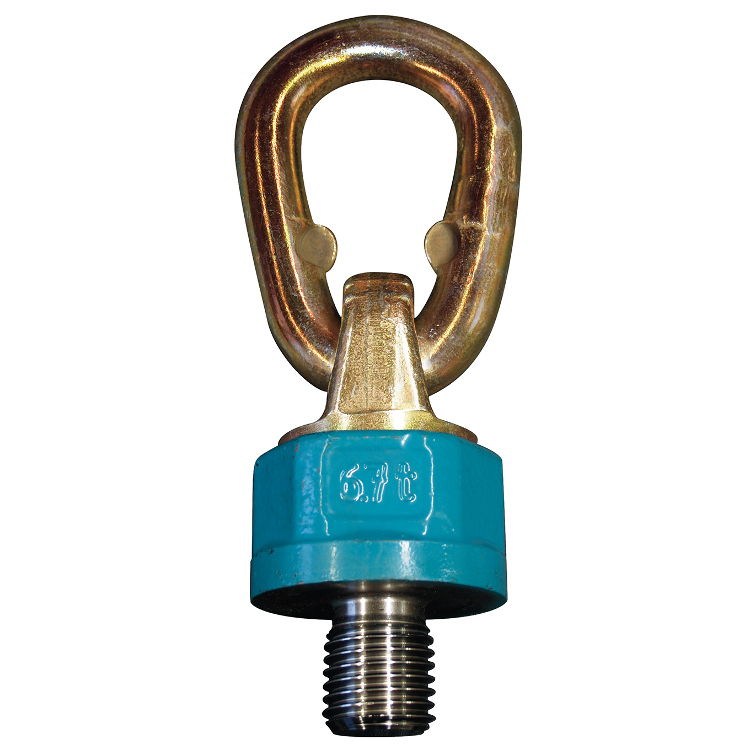 Care must be taken that the lifting points adequately dimensioned and fastened. The angle additionally plays a role, since the working load limit changes in relation to the angle. Shallow angle: 45-60°. Steep angle: 0-45°. If the lifting points welded on, the welding instructions must be followed. The welding seam must be inspected for correctness. The operating instructions must be observed. 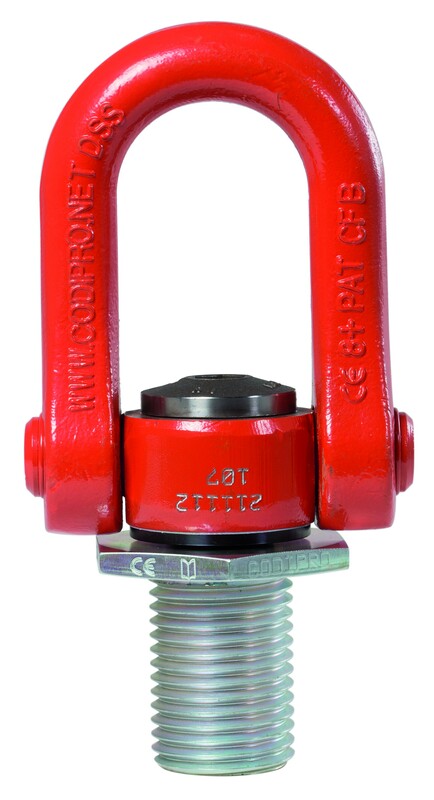 Load and material must be suitable so that the lifting point can be screwed in deep enough. 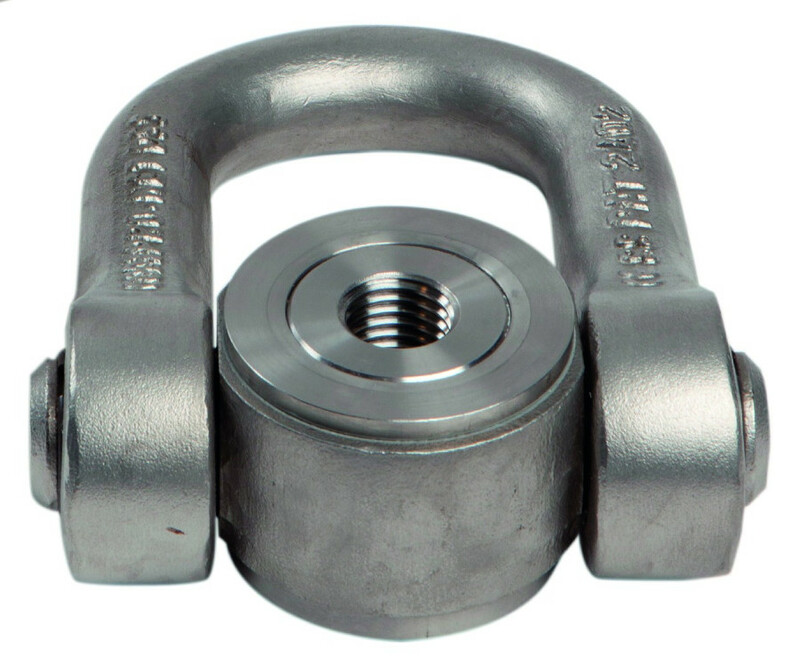 The sling swivel is the further development of the already existing sling swivel 0950 of grade 80 and 100 . 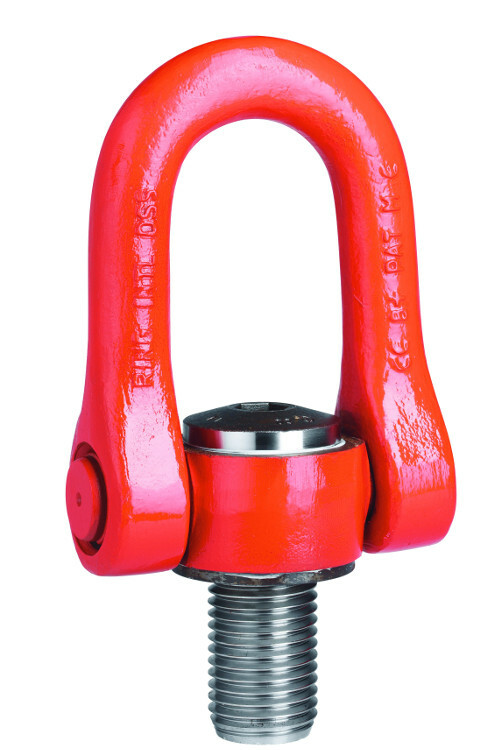 The load capacity increased by 25% while the dimensions comply with the existing sling swivel of grade 100. Better rotation behaviour achived by additional ball bearings. The result is improved rotation under full or diagonal load at 90°. New and clearer display of the inclination angle of 45° or 60° trough marks on the absoption element. 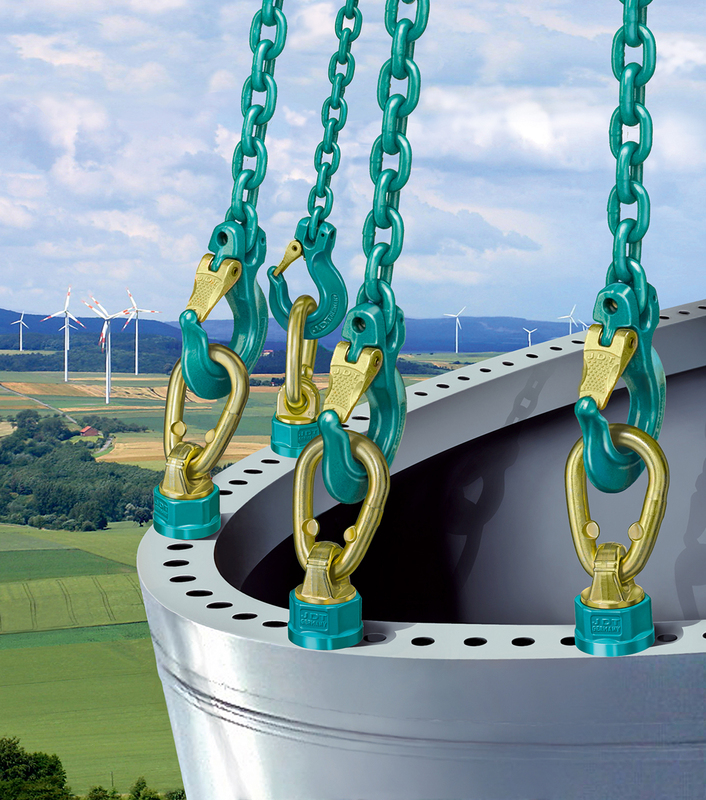 New visible wear and tear display of the ball bearing, meaning that the need for disposal can be identified without measuring tools. 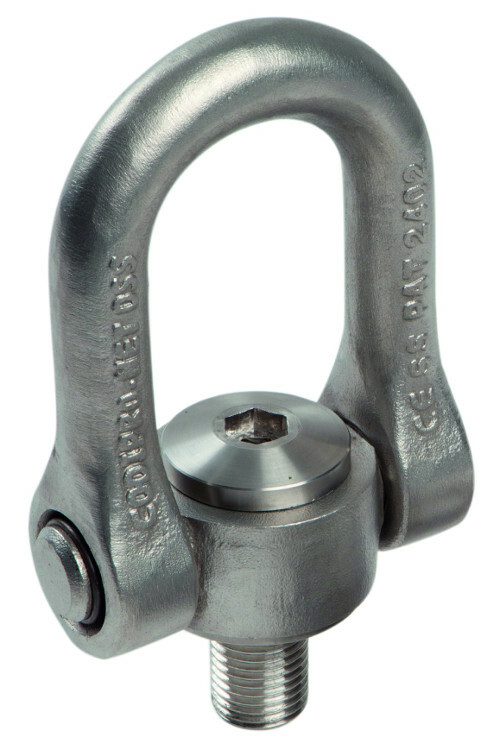 Improved contact surface, with carrying force marking, galvanized cover gives corrosion protection. Seal prevents intrusion of dirt. Other thread sizes according to diameter and length can also be delivered as specially designed models. Possible adduction moment in Nm for DoComfort sling swivel. Sling swivel IG with interior thread . 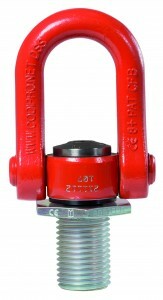 The thread depht is 1,25x d. Only screws of Grade 100.9 crack- tested are admitted as a connection element . Different thread versions and lengthaviable on inquiry. The sling swivel must not be used for continiuous rotaation under load. Thread adapter ADA for variable thread reducers, suitable for all sling swivel type 0958 in Grade 80. The newly developed thread adapter can decrease the existing threads eg. from M 24 to M 6, thus to be able to tighten a swirl with a smaller thread. H is also possible to combine different types of threads, this increases the flexability upon abutment your loads. This allows you to reduce your costs though the use of the Adapter. 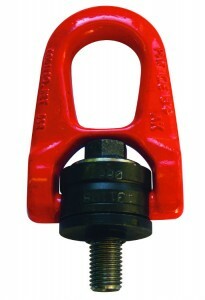 There is no need to buy sling swivels with a larger M-thread anymore. Other Dimensons in M-thread or inch thread on request ! The double joint enables perfect alignment. 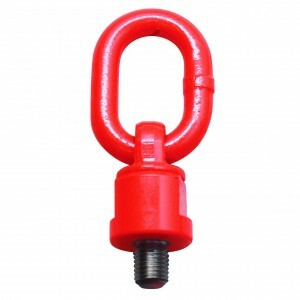 Haven’t found the right lifting point or sling swivel? 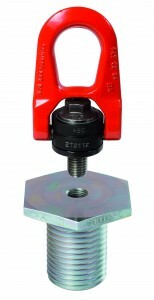 Lifting points are available in different variations, sizes and load capacities. 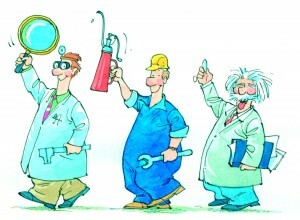 Our specialist advisers will be happy to help you!